Headlines have hit urging parents to reduce children’s snacking to only two snacks a day. The added thing to think about is that they’re all to weigh in at 100 calories each. A discovery by Public Health England found on average, primary school age children eat at least three sugary snacks a day. As well as their main meals! Even Celebrity Masterchef winner and mum, Lisa Faulkner is jumping on the bandwagon to support this initiative! 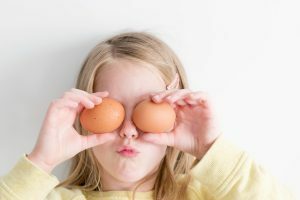 Of course we’d all like to keep our kids healthy and happy, but, who has time to count calories when you’re trying to run a family home and everything else on your plate (excuse the pun!)? Interested in making your kids healthy snacks? Here are 6 tasty options that all come in at 100 calories or less. Kids will love them! Kicking off our savoury snacks is a crunchy and cheesy dream. Lightly-salted rice cakes with low fat cream cheese or cheese triangle! 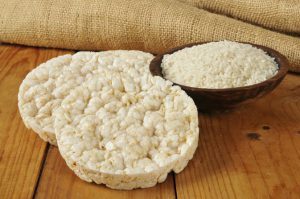 One supermarket own brand lightly-salted rice cake comes in at 27 calories. Two of these with a Laughing Cow light triangle on each comes in at under 100 calories. This one is perfect for a weekend snack or an after dinner treat because it’s sweet and feels like a pudding. 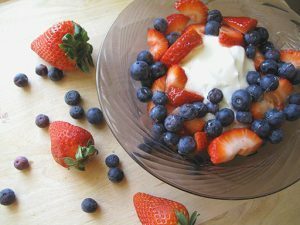 Berries are fantastic because they’re packed with antioxidants and essential C vitamins. Plus they’re delicious to boot. 100 grams of 0% fat Greek style yoghurt, 40g of raspberries and 40g of blueberries comes in at 98 calories. This should be around 8-10 raspberries and around a tablespoon of blueberries. Don’t worry too much about the exact weighing out of the yoghurt. If you start to weigh it out on the scales to start with, you’ll learn how many spoonfuls it is to the weight. It’ll soon become second nature and it’ll be quick to do! Want to sweeten the yoghurt a tiny bit more? Mash up some of the raspberries and swirl them around in the yoghurt for natural flavouring. You could even pop it in the freezer for half an hour and make it more like frozen yoghurt – dessert in a flash! Sometimes, all you need is a little crunchy snack, isn’t it? Kids feel the same – this is why they love crisps so much! Give them that savoury hit and some crunch at the same time. Why not try a mini picnic of Babybel cheese, carrot sticks and cucumber batons? This will definitely fill them up and it’s great finger food if they’re chilling out watching a movie. A mini Babybel light comes in at 42 calories. 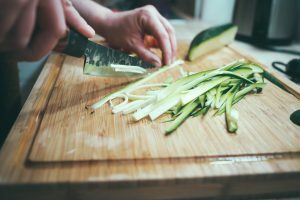 100g of cucumber batons (around a two inch portion chopped up) is 16 calories and 50g of carrot sticks are 20 calories. Sorted. Kids love toast. It’s comforting, delicious and luckily for the parents, it’s easy! One slice of supermarket white Danish loaf is usually around 50-55 calories. 9-10g (a good teaspoon!) 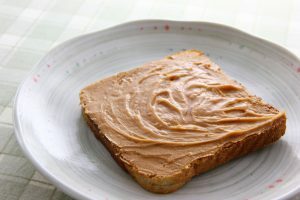 of natural peanut butter is also around 50 calories. You can pick up organic and natural peanut butters in most good supermarkets. These will be free from refined sugars, nasty trans fats and hydrogenated oils. They don’t taste much different. You could even mix the two together to begin with to wean children off the sugary stuff! This one is perfect for lunch boxes, Saturday brunch and after school snacks. A boiled egg is around 65-80 calories, depending on size, and a slice of ham is usually 20 calories. This little snack has the added protein element that will keep kids fuller for longer. It rocks in at 10g of the healthy stuff – winner! Pop some tomato ketchup on the side and this is a surefire winner. Let’s be honest, as much as we try, not everything our kids eat will be fresh and not from a packet. Occasionally, it’s so much easier to pop a packet in your bag when out and about. Or, grab one from the cupboard when rushing around at home – you’re busy! Never fear, we have the answer. 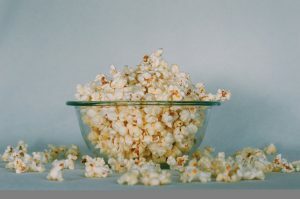 Popcorn is a great, low calorie snack that is tasty. Brands like Propercorn have created smaller packs for kids that come in at 12g and a tiny bit over 50 calories. So, if they’re really starving – they can have two! There we have it, 3 sweet and 3 savoury snack ideas to keep kids going between main meals. All are easy to whip up and all are 100 calories or under. Of course, there are tonnes of other snacks that are around 100 calories. A medium banana is around 100 calories. Packets of lentil crisps are usually under 100 calories and apples come it at 70. There are loads of options that are lower sugar than your average snack. These will keep kids fuller for longer and healthier in the long run. Did you know you can speak to one of our Fitness Advisors about healthy eating and how it can help with you fitness levels and health? You can do this by booking your One2One Programme as part of your Flexible Fitness membership! To book your One2One Programme, pop into your nearest leisure centre or call us on 0115 876 1600.